We have now just left the Broken Hill area after spending several days looking around this region as well as getting used to adjusting to life living in the ‘van. 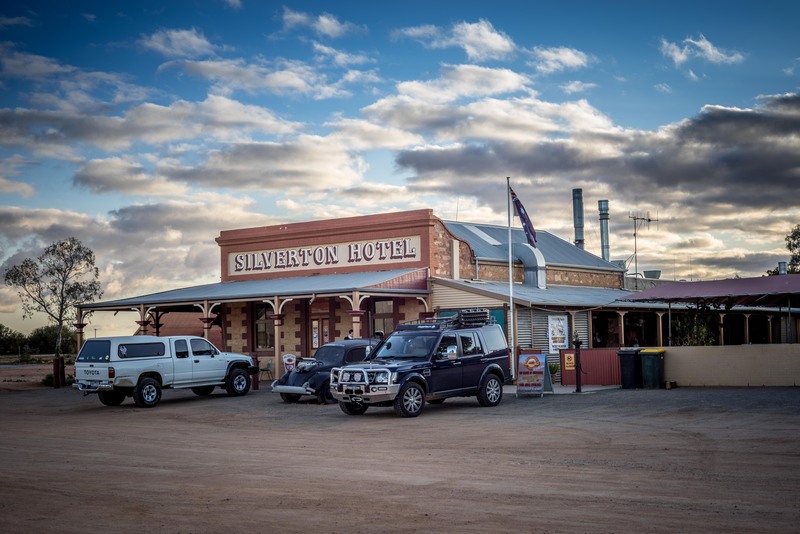 The Silverton pub 35kms northwest of Broken Hill NSW at sunset. The pub is synonymous with die-hard Max Max film fans and 4WD’ers alike. We had a meal here this night and the temp got down to 6degC and we all huddled next to a small wood fire up the back on the pub. Highlights this week include the town of Silverton, population about 38, not including sheep. A meal in the historic pub was fun, photos on the walls showing all the film- making over the years, with the rest of the town ghostly ruins. A tour of an old disused silver mine was the favourite with the boys. Clambering down into a 130 year old mine that produced about $80M in its day, hard to picture when it’s so desolate and hot out here and you can’t drink the water because of the naturally occurring arsenic and chromium. Life expectancy of miners was about 28 if you started at 8 years old. 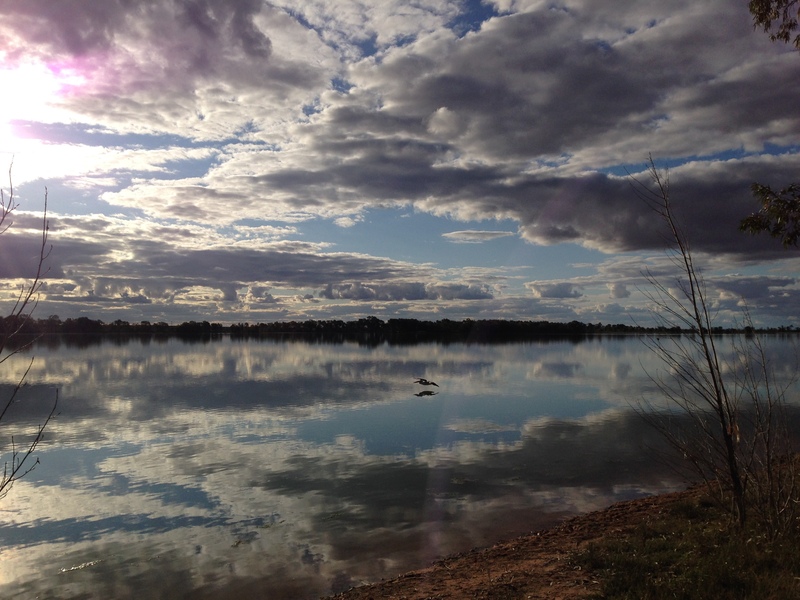 Famous because of Burke & Wills, it’s dry harsh and shrubby country, so spending a couple of nights at Menindee Lakes Copi Hollow was a great experience. So many birds and animals, lovely water views, steaks on the bbq and relaxing by the fire. Warm days, cold nights. Wonderful. Burke and Wills never had it so good!